Transparent platform mules with rhinestones of the brand Pleaser. Fishnet pantyhose with side diamond detail and faux thong. Transparent platform high-heeled sandal of the brand Pleaser. 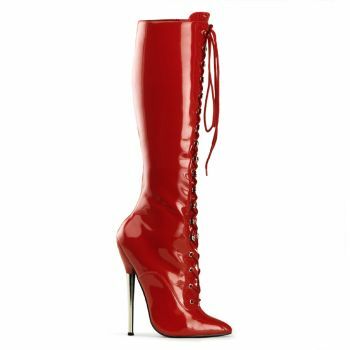 Extreme patent knee boots with metal heel.